It’s sweater weather outside and that is why you should add more sweaters to your wardrobe this season. They can be found in so many versatile styles and colors, but the ones that can really make a statement are of course the patterned one. And in terms of patterns, we all know that there are many of them to choose from, but the one that will never really go out of style is the striped pattern. So, you should all get some striped sweater and thus look trendy this season. Just like any other sweater, striped sweaters can be found in versatile styles. So, whether you want a fitted or loose one, plain or turtleneck, there is definitely a striped sweater for everyone’s taste. Also, you can find this type of sweater in different color combos, where black and white is the most common one. You can wear a striped sweater with your favorite pair of jeans and boots. You can even use it as layering piece over some shirt. 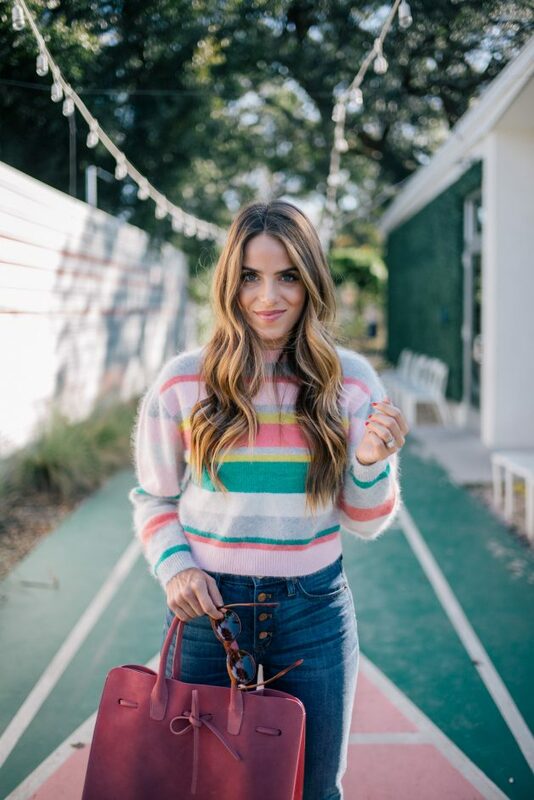 For a more chic look, you can pair this type of sweater with some skinny pants and heels, as well as with some pencil skirt and heels for a more sophisticated look. Here are several outfit ideas to get inspired from. Enjoy! 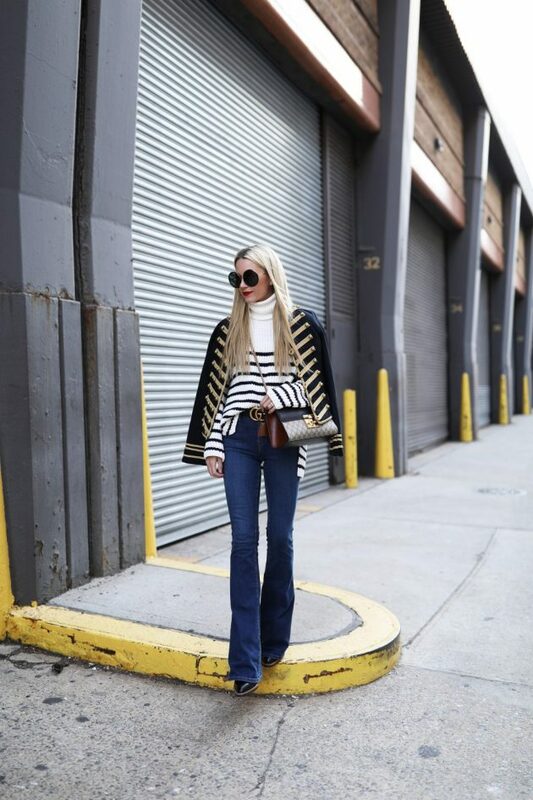 Any striped sweater can look good in combo with jeans. And when styling it with pants or skirts, you should choose colors that will match with the colors of the stripes. For instance, if your pick a black and white sweater, then you should pair it with some black or white pants or skirt. Avoid wearing such sweater with printed bottoms, because it won’t look good, except some floral ones. So, which one from the above outfits with striped sweater did you like the best? Tell us in the comments and also make sure to get yourself one such sweater for this season. And of course, stay up to date with the content of Fashionsy to find many other outfit ideas for your style inspiration.